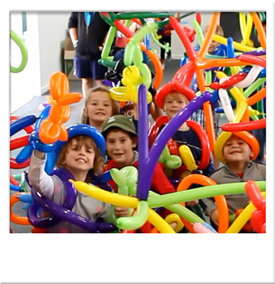 Hands on balloon twisting class that makes kids go wow! Kids just love balloons and creating things themselves, in the balloon twisting workshop your kids get to make their very own balloon creations to play with and take home! 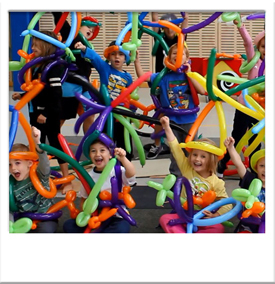 The Balloon Twisting Workshop teaches each child to create amazing objects out of balloons. 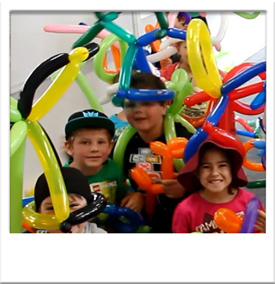 Fun projects like a dog, a sword, and a wild even "anything goes" hat! 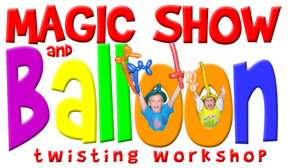 An amazing magic show is included in the balloon twisting workshop. 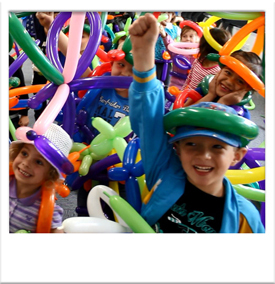 The Balloon Twisting Workshop teaches new skills that builds a childs self esteem and hand eye coordination! 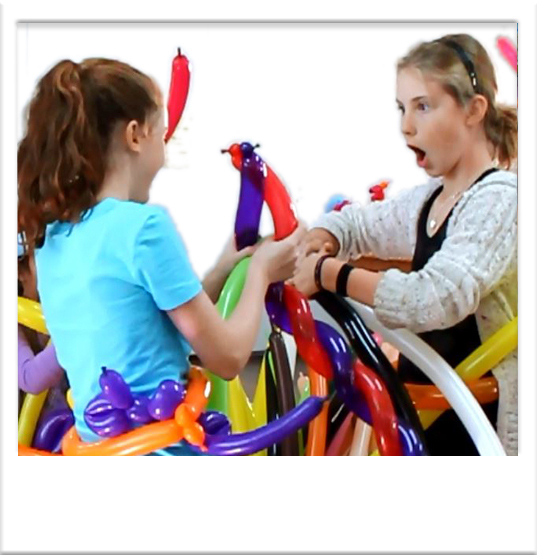 An amazing magic show and balloon twisting workshop is a perfect combination for your next event!